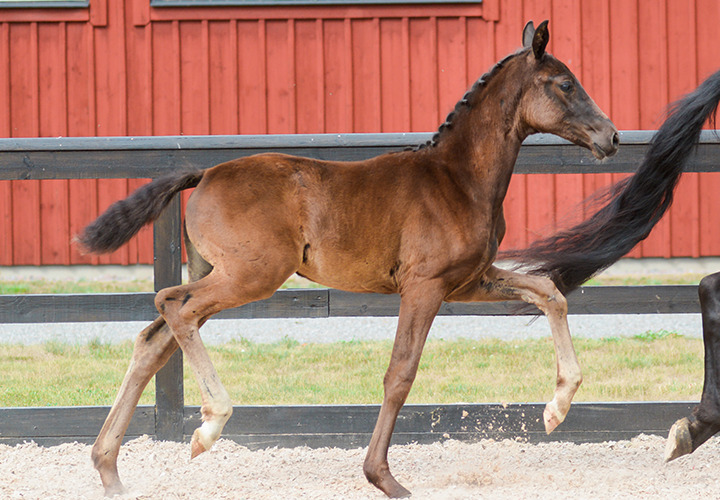 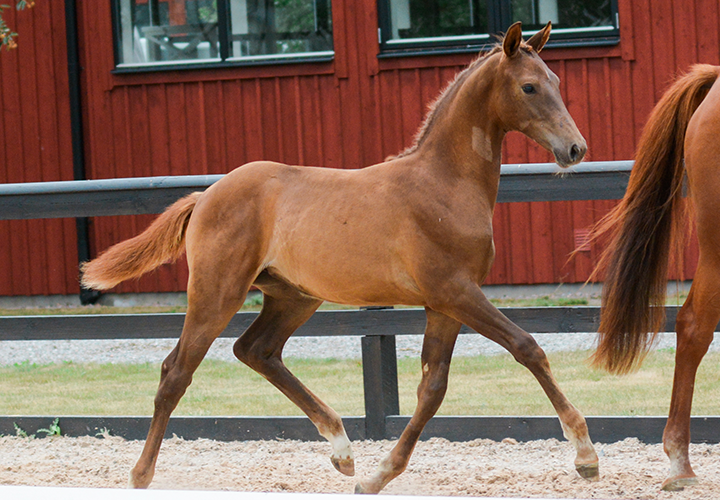 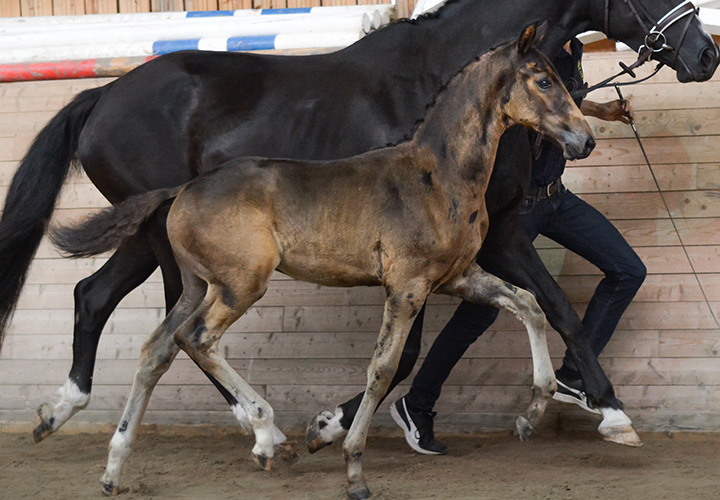 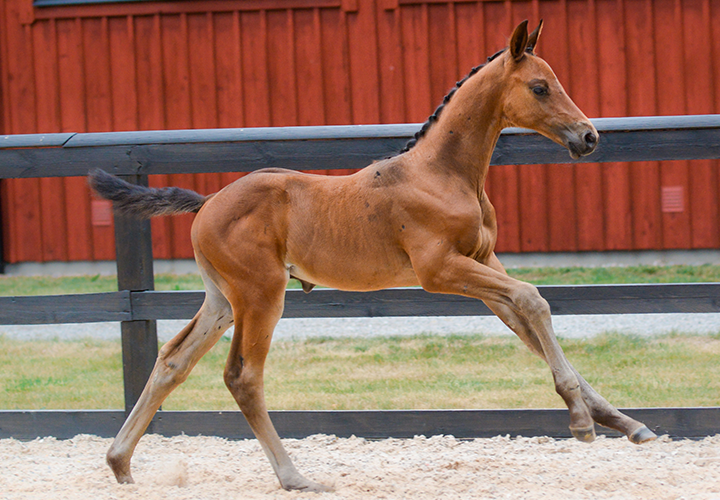 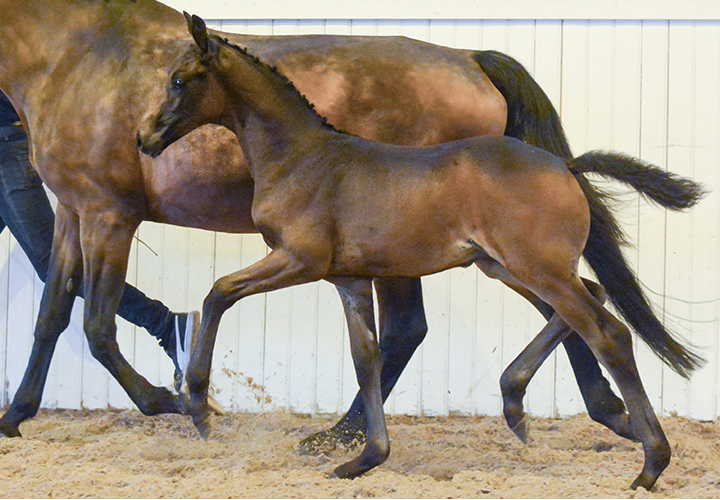 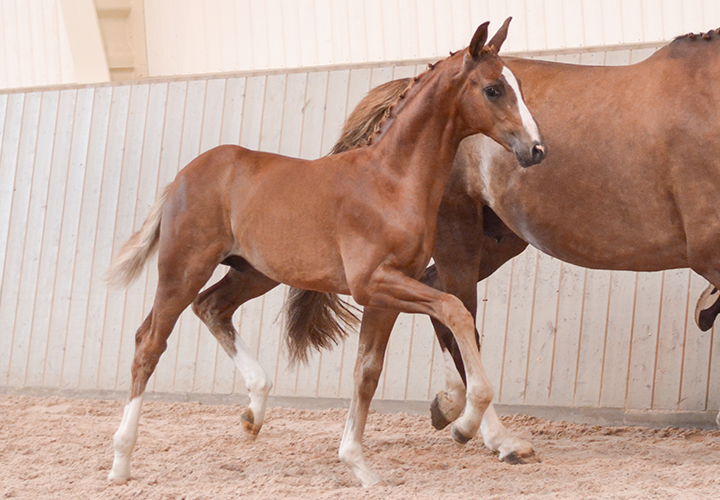 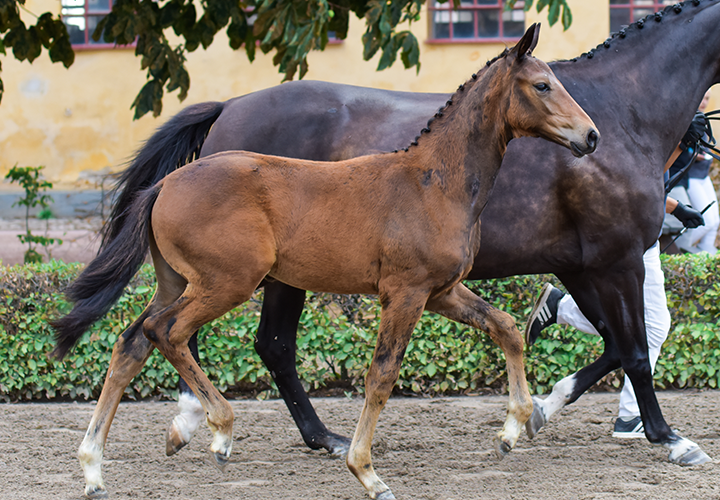 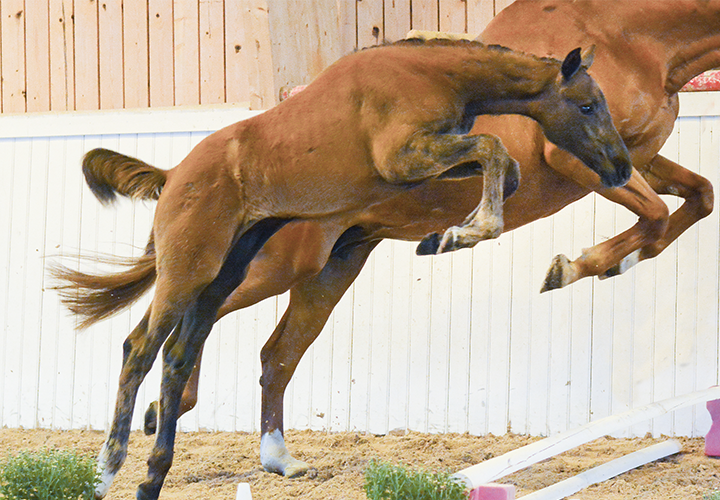 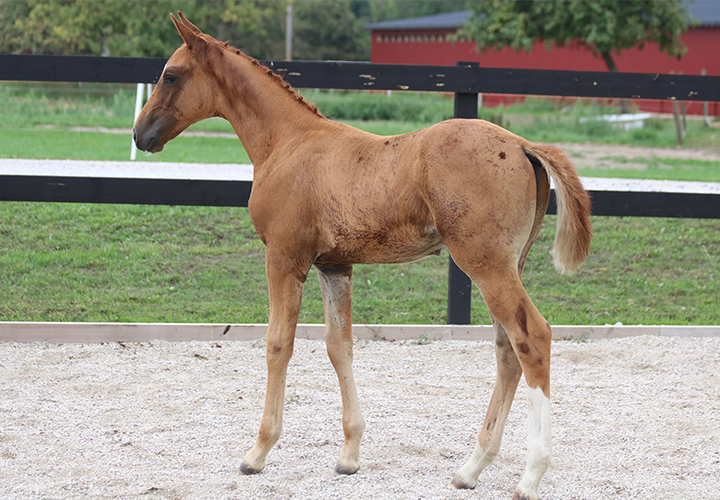 The SWB Elite Foal Auction was in 2018, as in previous years, well-attended and in addition to the 250 VIP guests in the Big Arena att Flyinge, the stands were well-stocked and the interest to follow the auction via web TV big. 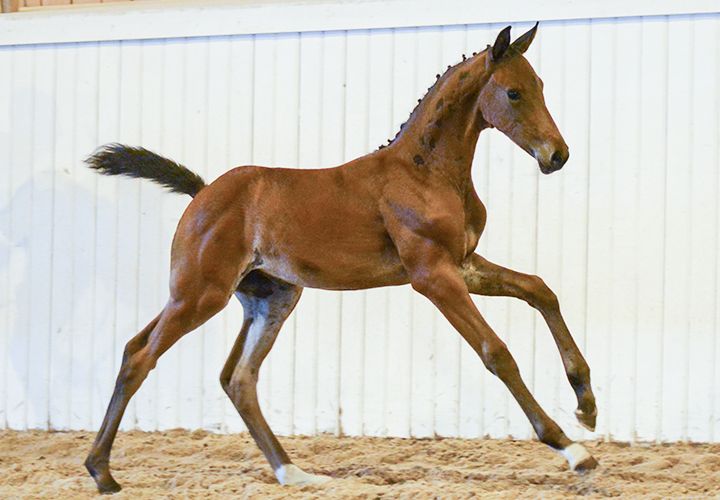 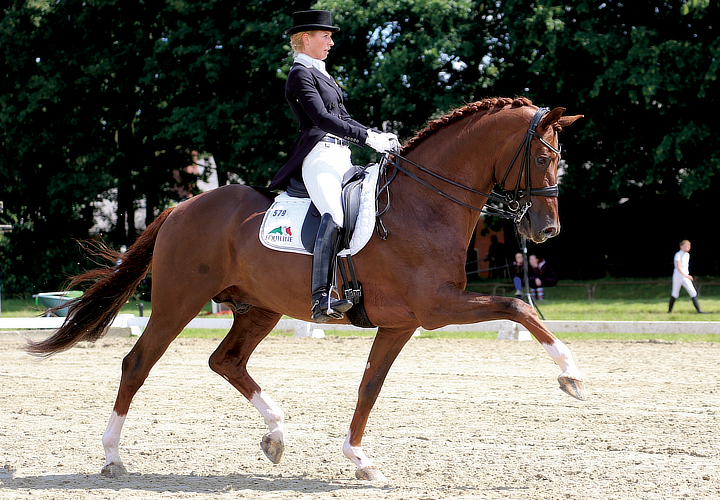 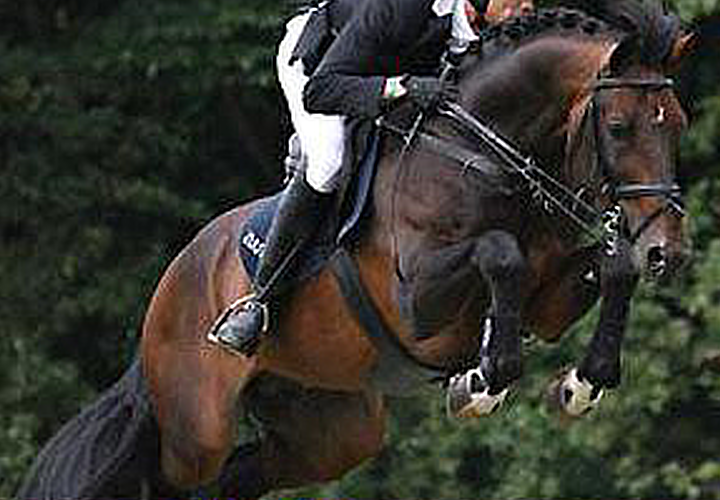 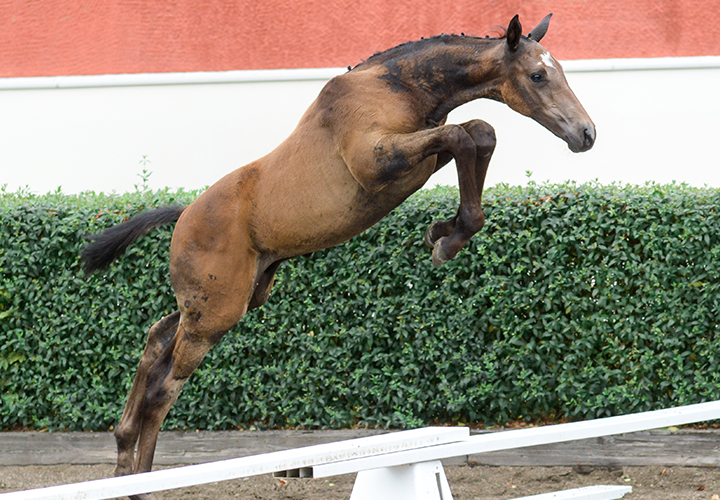 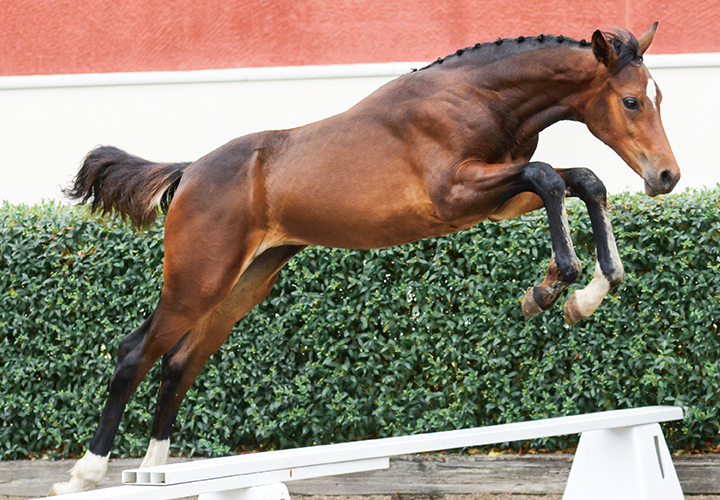 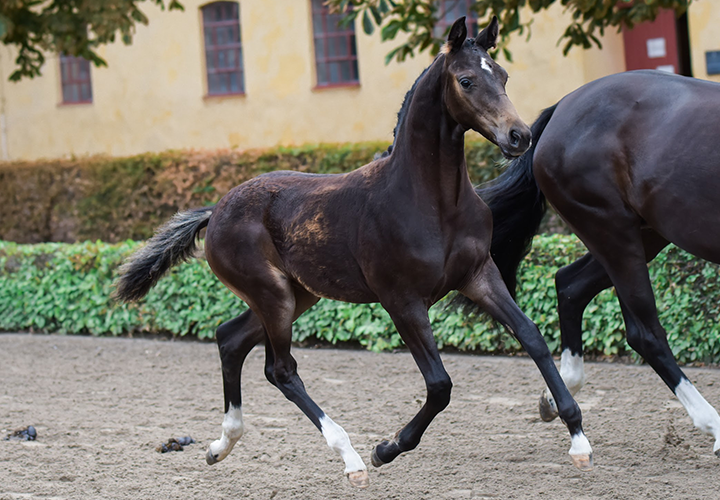 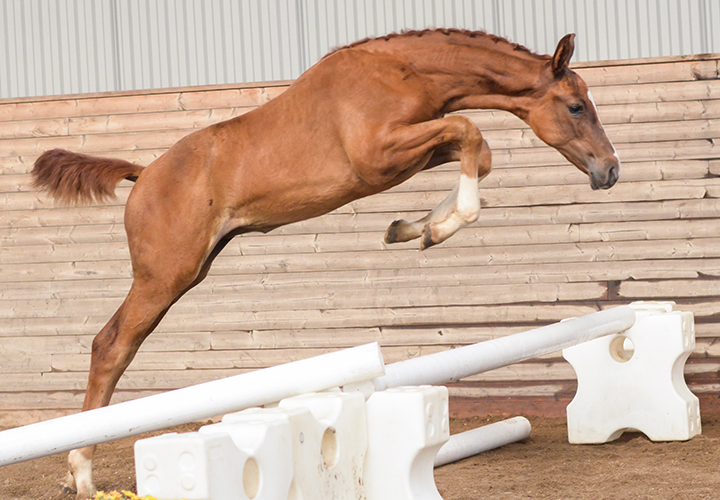 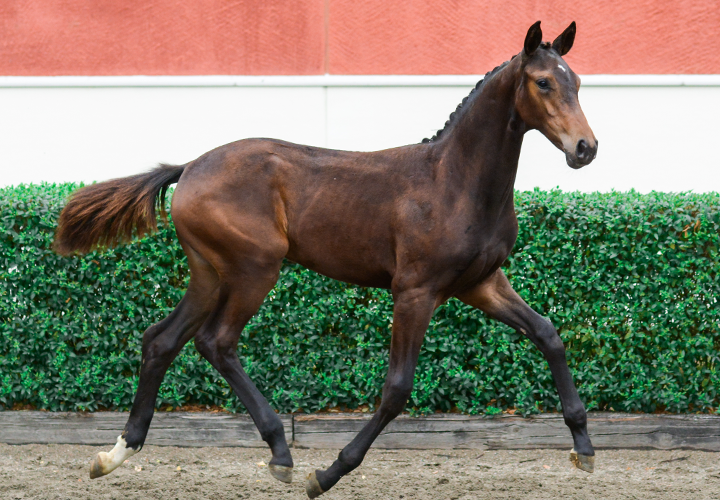 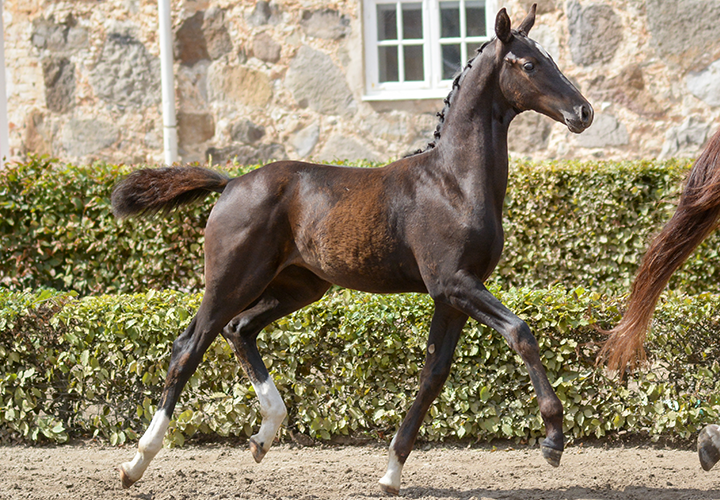 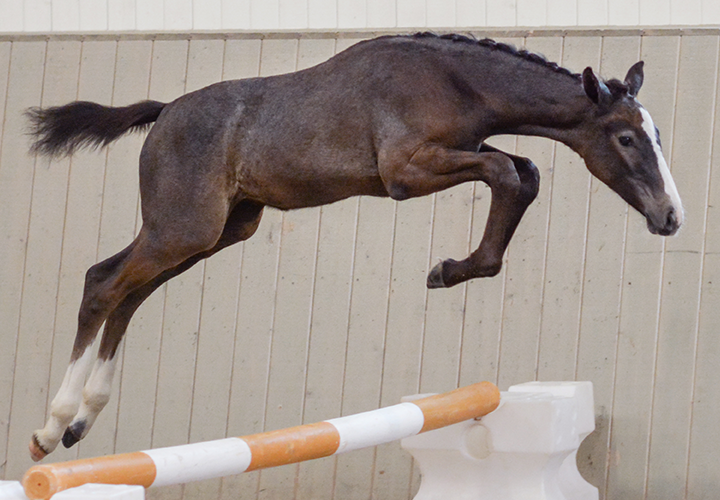 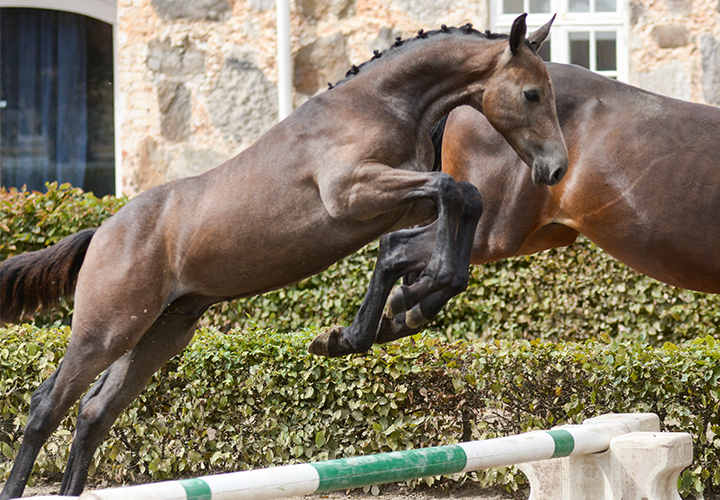 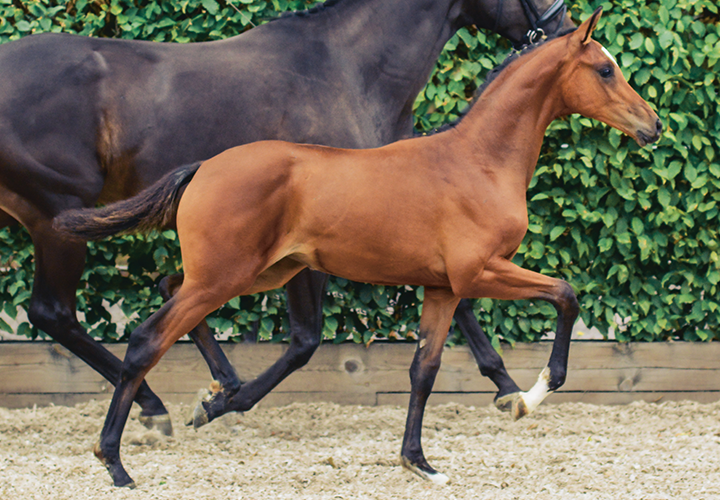 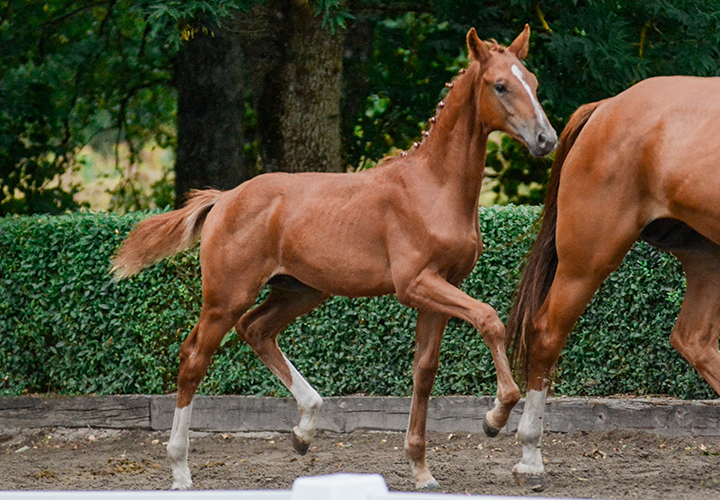 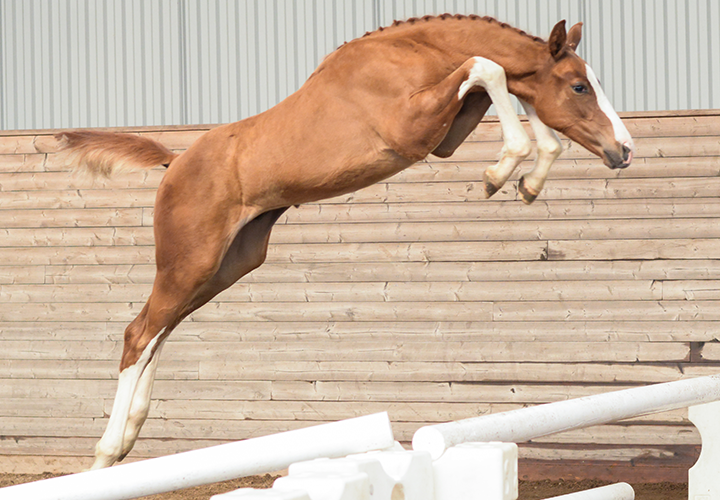 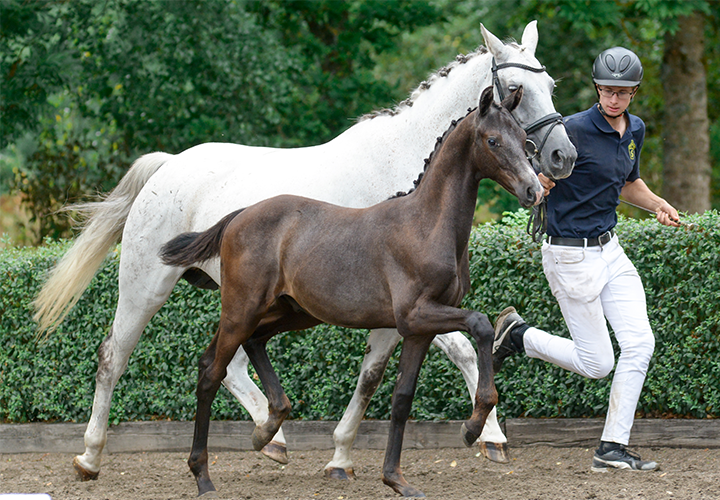 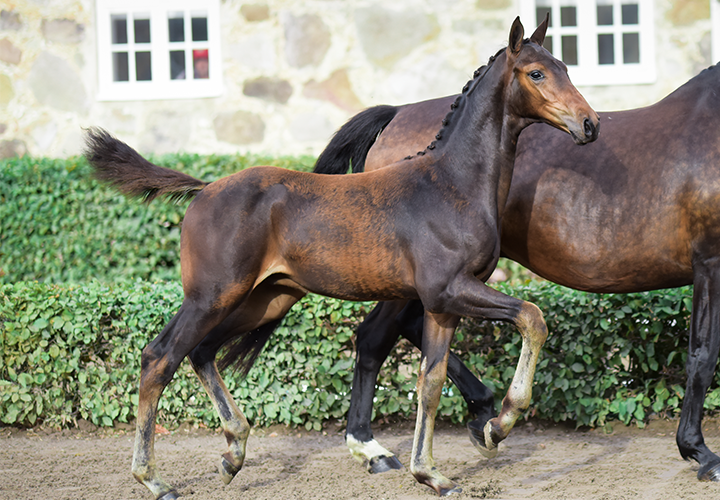 A number of equestrian profiles and well-known riders were seen both bid and buy and foals were sold to buyers in Sweden and also in Switzerland and Ireland. 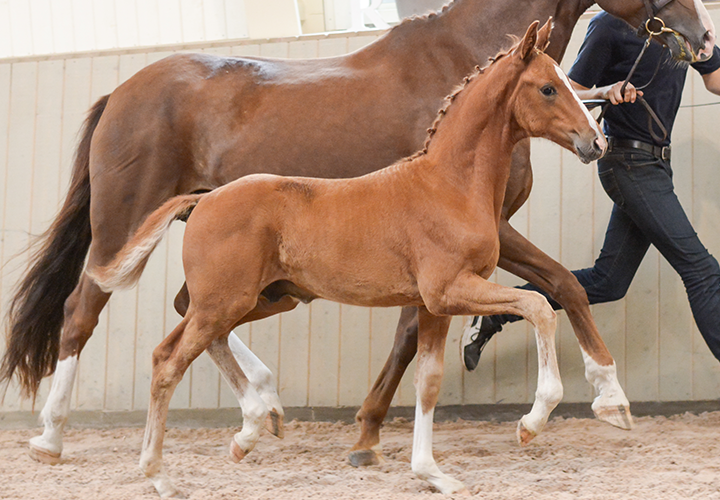 The experienced belgian Frederik de Backer was excellent and exemplary fast as auctioneer and Karl-Henrik Heimdahl on his side delivered everything you needed to know about the foals and a little bit more. 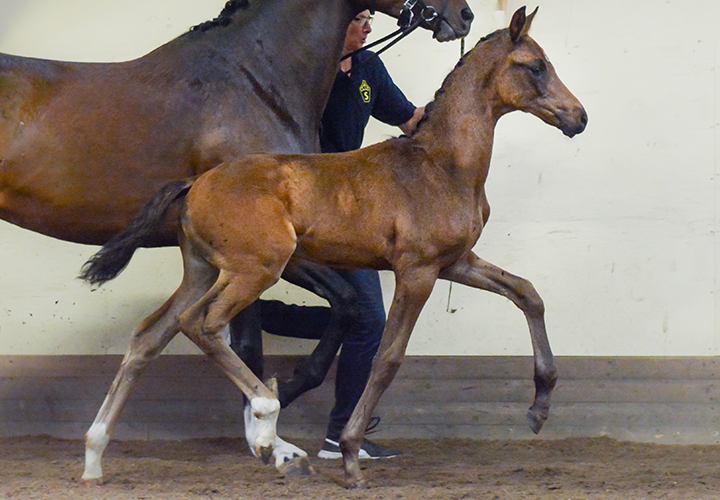 When we summarize this year’s Elite Foal Auction we can see that folals and embryos were sold for a total of 419 500 Euro during the evening. 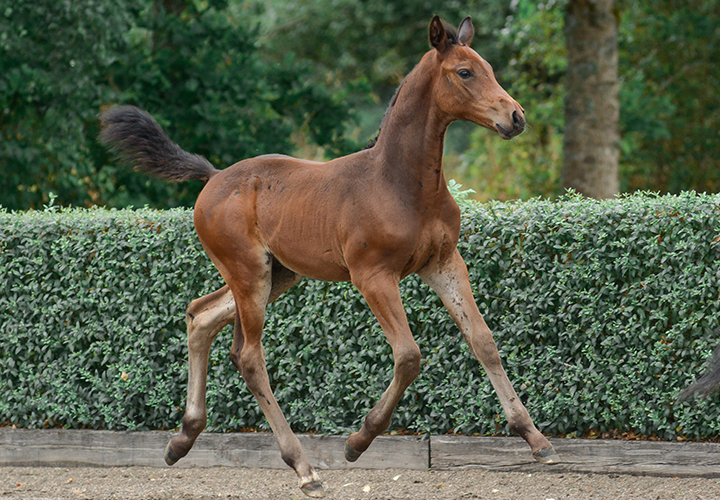 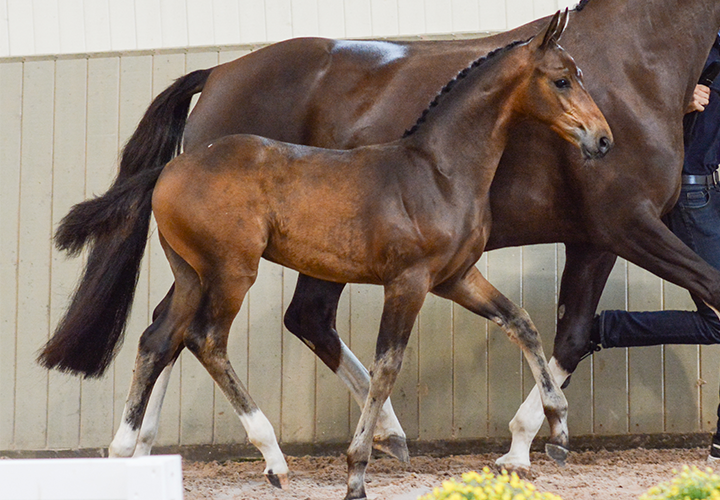 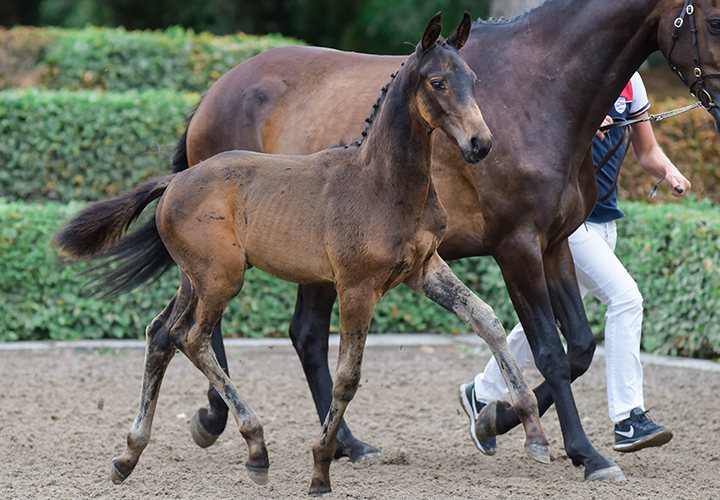 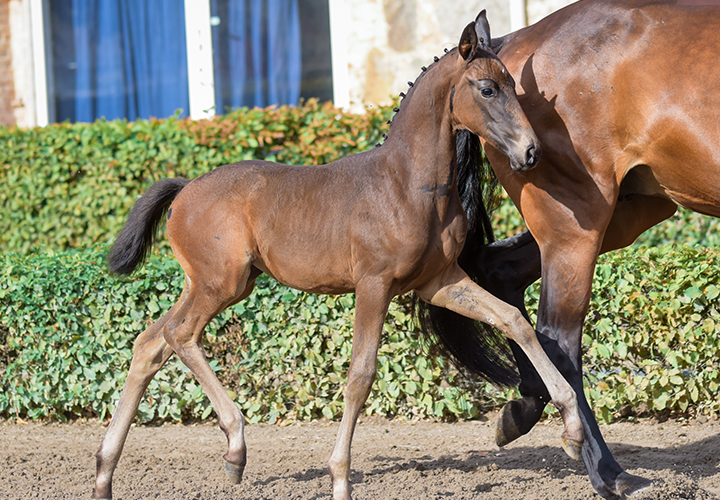 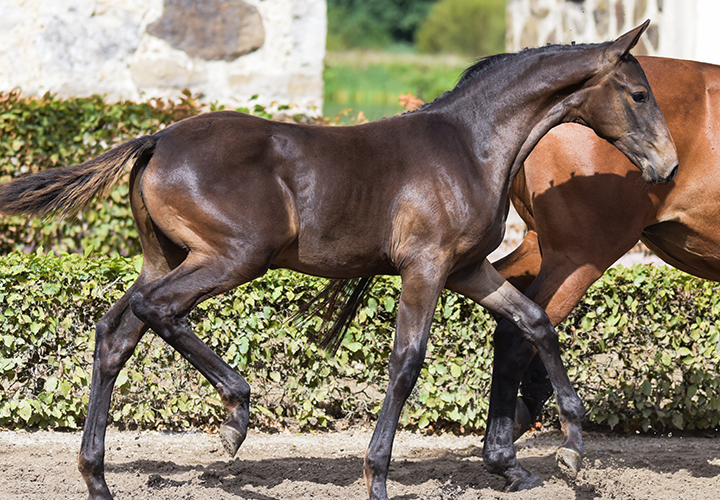 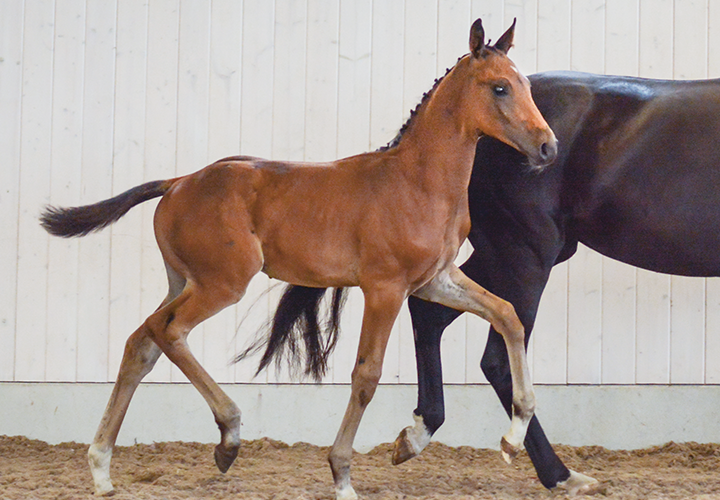 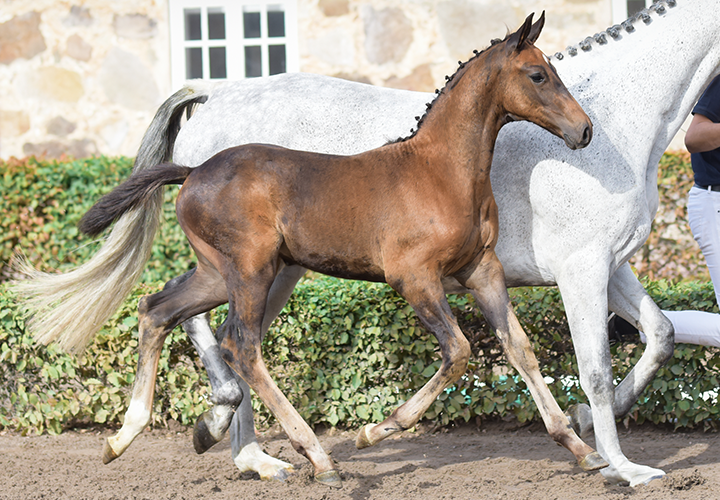 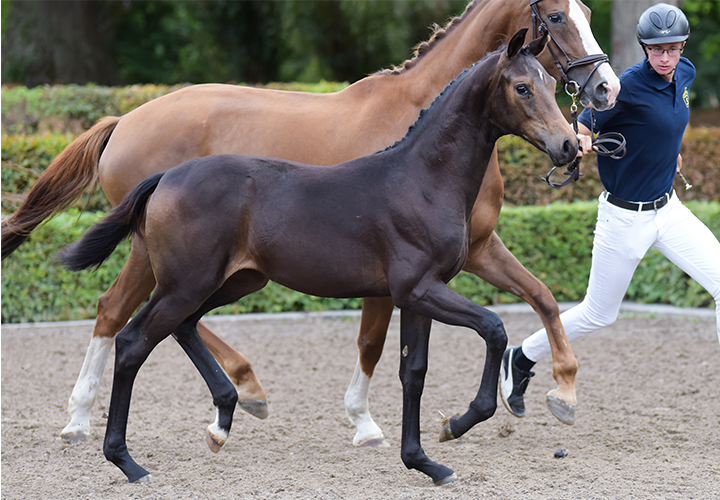 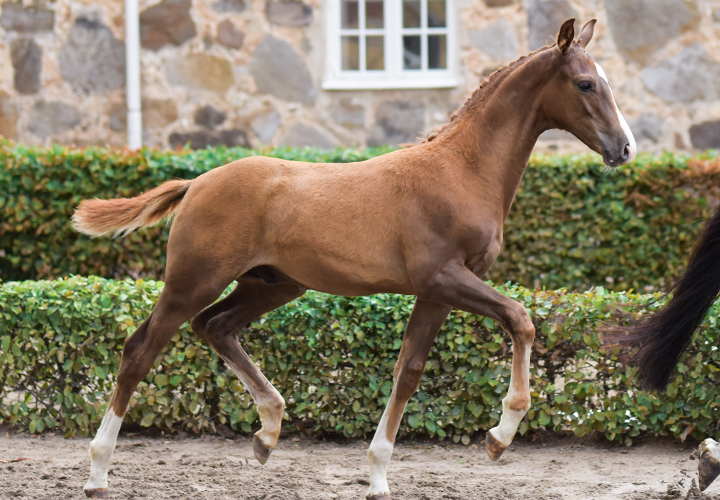 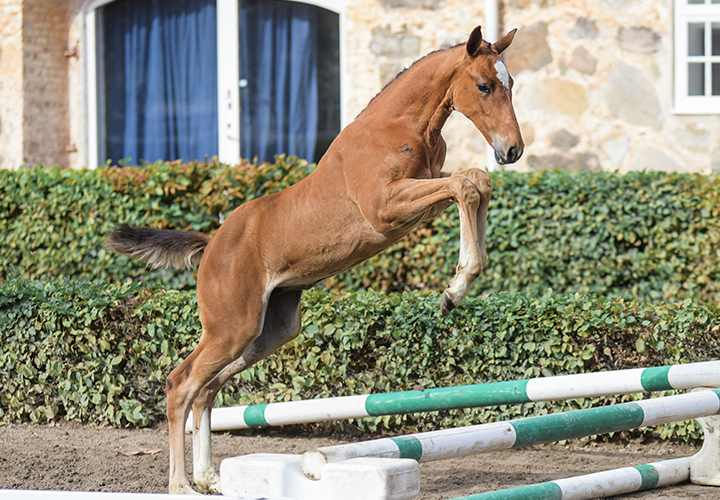 Of the 44 on the list, 41 foals and one embryo were sold, divided into 19 jump and 20 dressage foals, and the average price finally landed at 10 738 Euro. 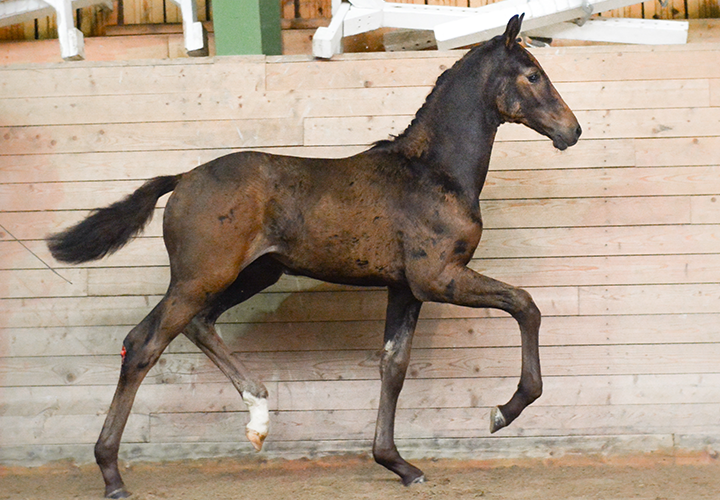 Prelude CML (Franklin – Don Primero) became the most expensive foal of the evening and was sold after a intense bidding for 30 000 Euro. 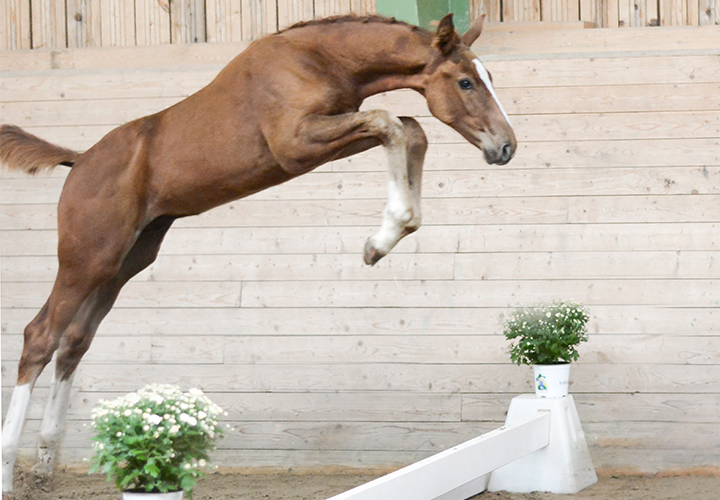 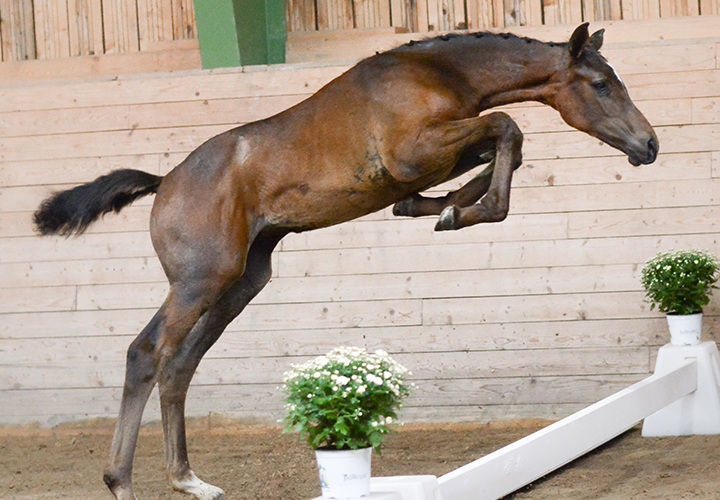 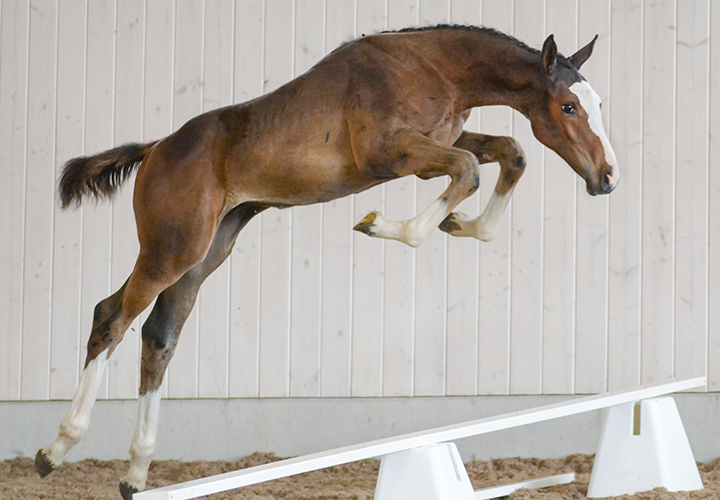 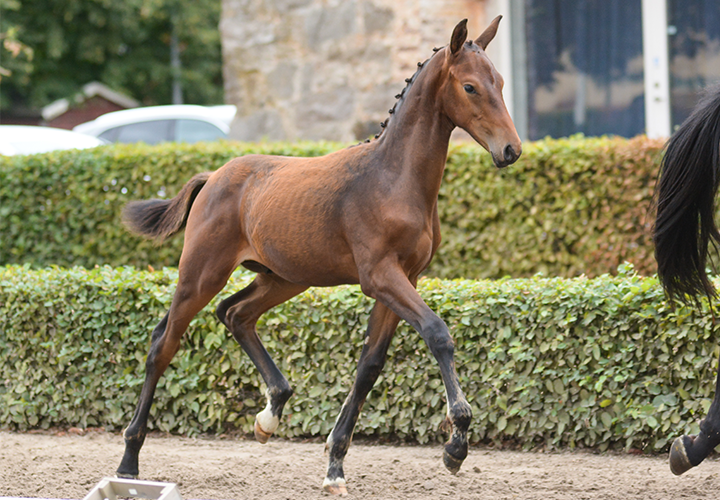 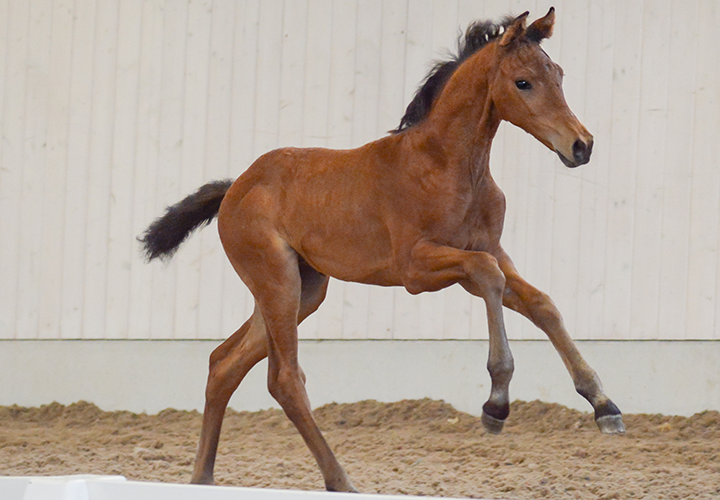 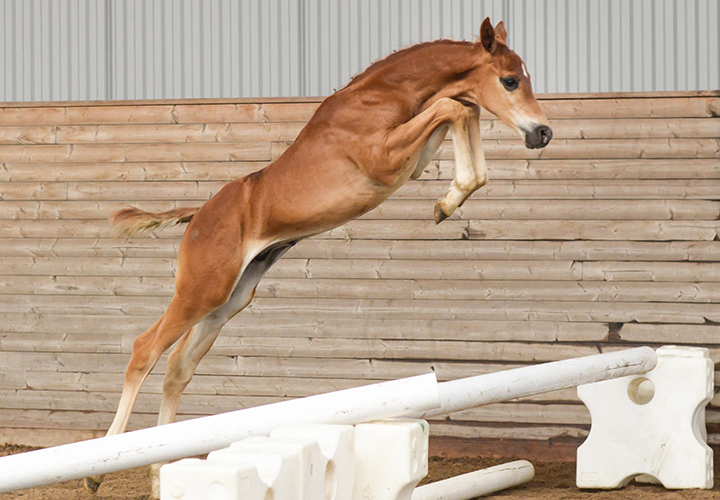 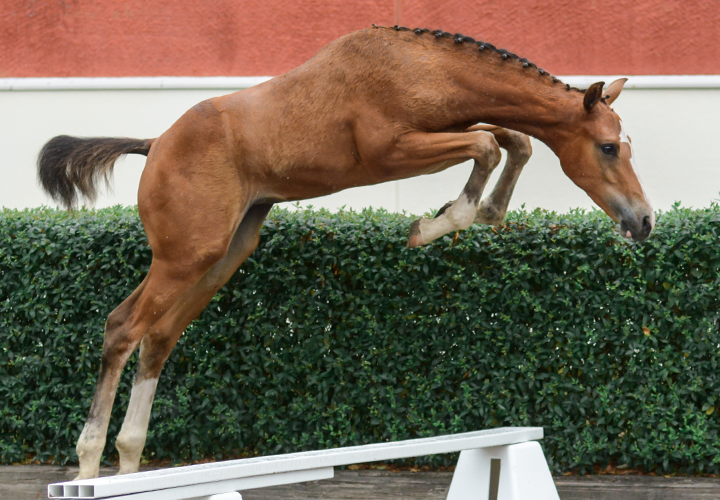 The best paid jumping foal was Main Menu (Cornet Obolensky – Nintender), who was sold for 26000 Euro.